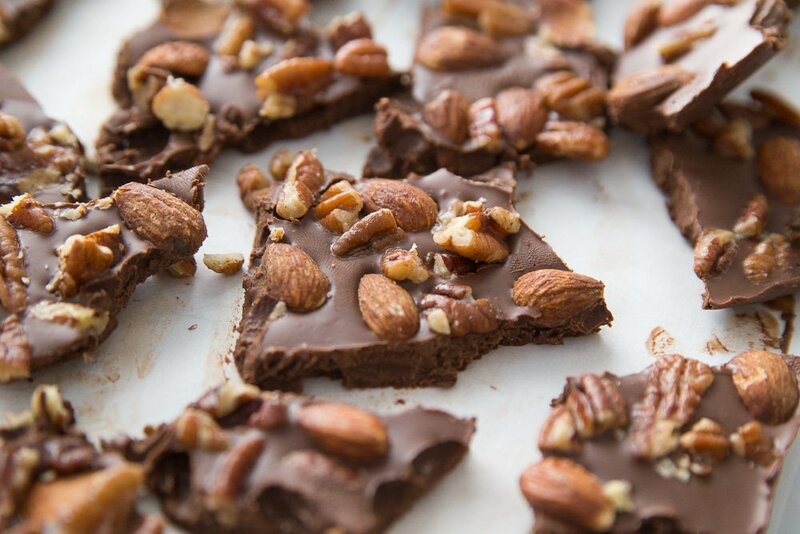 This Keto Easy Chocolate Almond Bark recipe is like a homemade candy bar with all your favorites. The other day when I was looking on Pinterest at all things Christmas, pictures of Almond Bark kept popping up in my feed. Of course, it wasn’t keto or low carb, so it wasn’t an option for me to make. 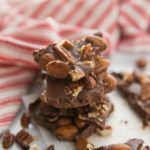 But it inspired me to create this Keto Easy Chocolate Almond Bark Recipe. I quickly remembered why I love almond bark so much. It’s so easy to make, and you can add as much or as little add-ins as you’d like. I love the fact that it isn’t a fussy recipe. 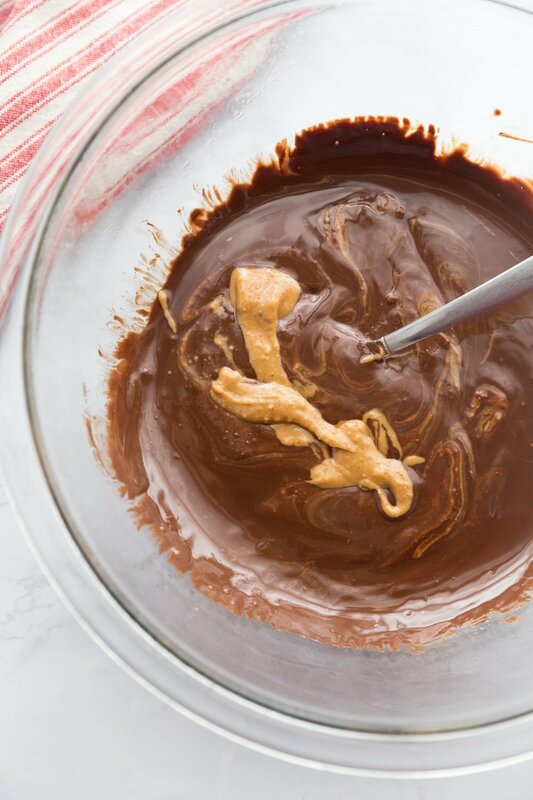 Basically, you pour the chocolate base it into a pan, add toppings, refrigerate, and then break apart. How easy is that? You can customize to suit your tastes. Peanut butter, not your thing? Omit. Do you love pecans but hate almonds? Add double pecans. 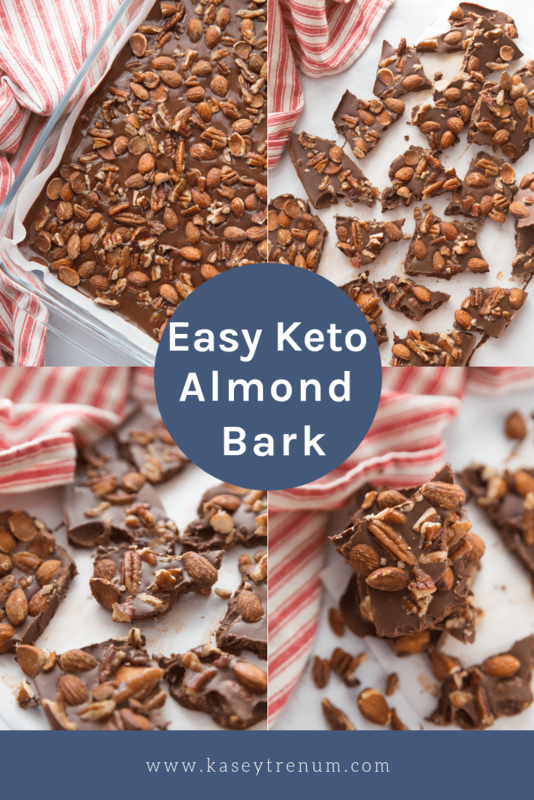 It’s that easy to make this Keto Easy Almond Bark recipe your own. I love treats like this that are so easy to make and can be whipped up in just a few minutes. It tastes like a delicious chocolate candy bar without all the carbs. I love seeing step by step photos, so I have included my own below. If you prefer, you can scroll down to grab the printable recipe for this yummy chocolate bark recipe. 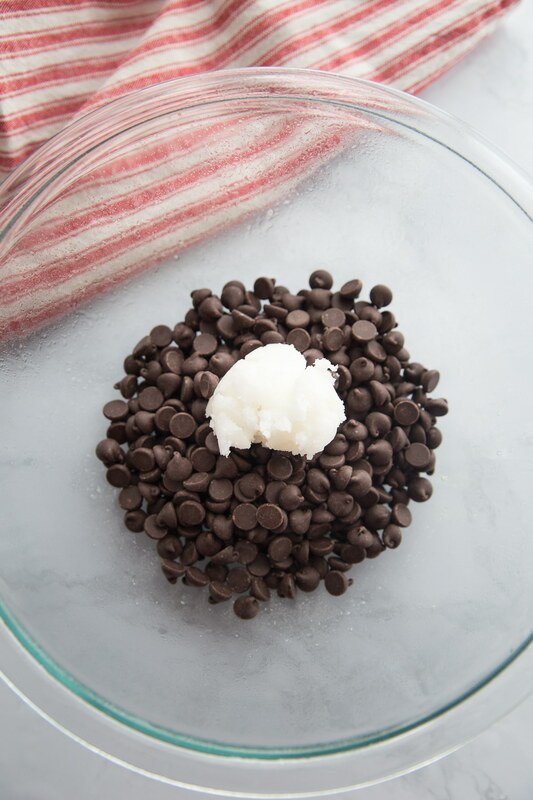 This recipe starts so simple with Lily’s Chocolate Chips and a little coconut oil. I use Smucker’s Natural Peanut Butter since it doesn’t have any added ingredients besides peanuts. If you don’t eat peanut butter, then a nut butter would work as well. 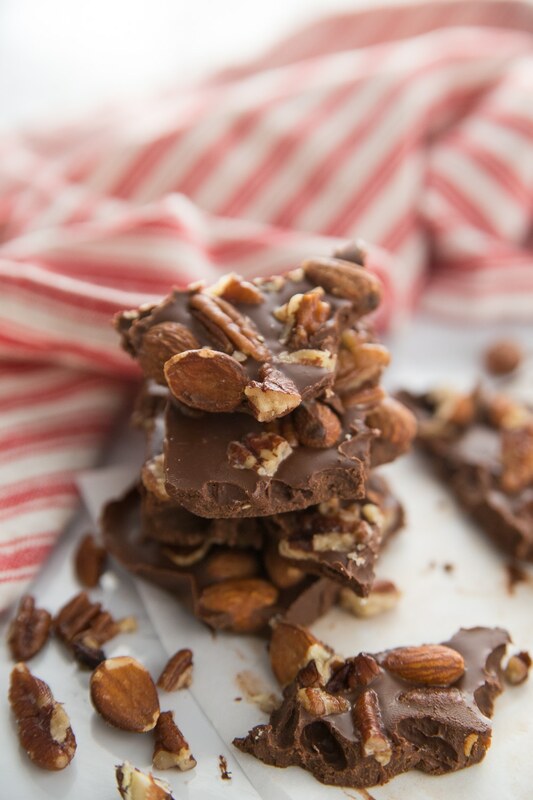 Toasting the pecans brings out a fantastic flavor and crunch, which makes this Keto Easy Almond Bark recipe even tastier. 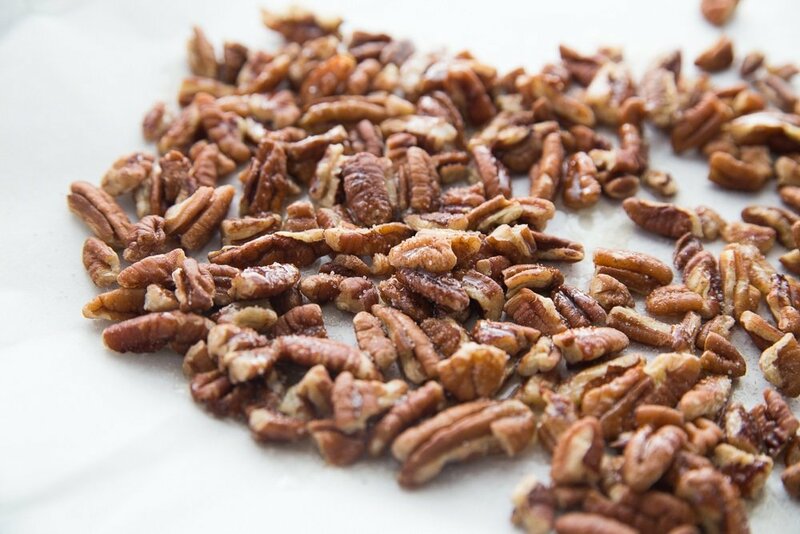 If you don’t like pecans feel free to leave them out. 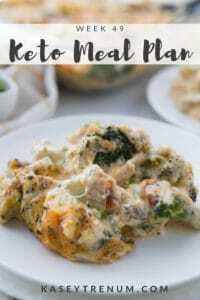 This is one of those recipes that can be altered easily without compromising taste. 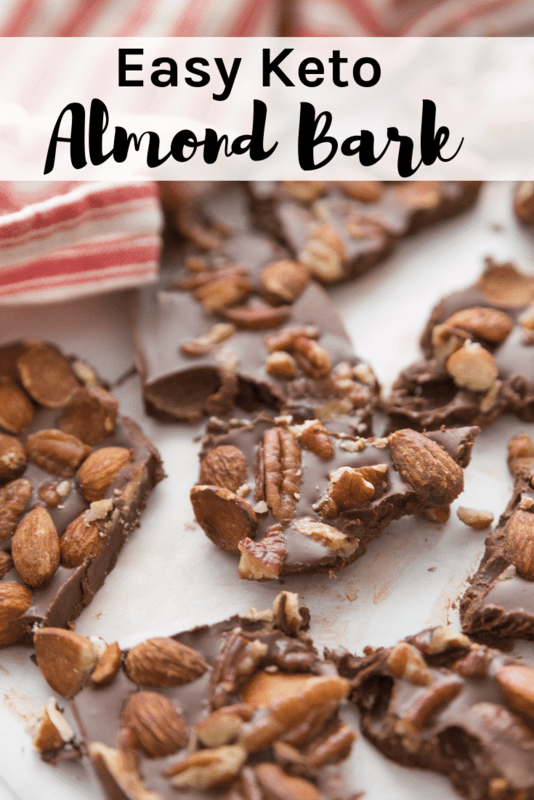 The Lily’s Chocolate Chips melt so smoothly to make the perfect base for this delicious keto Easy Almond Bark recipe. 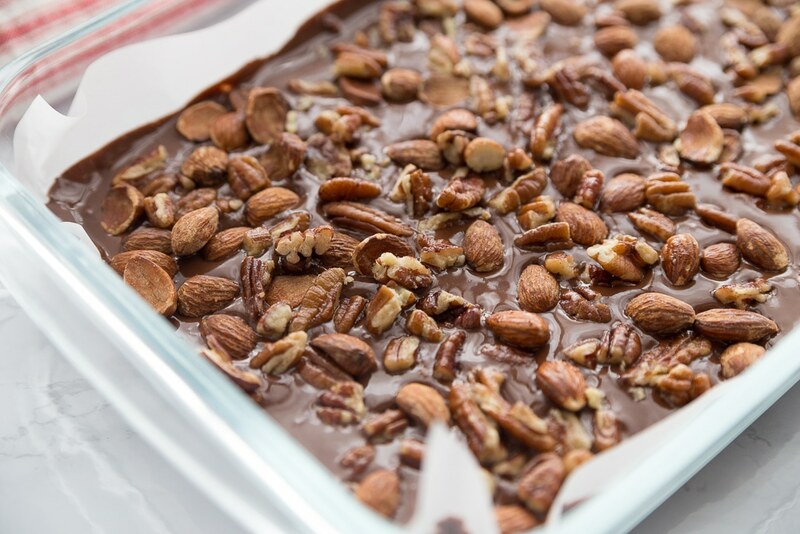 Simply sprinkle the pecans and the almonds on top and it’s basically a homemade candy bar. Goodness, gracious! 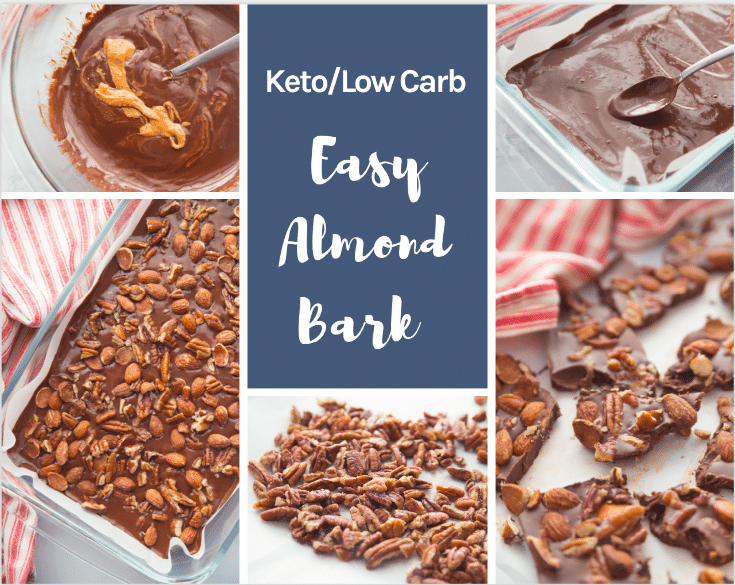 Doesn’t this Keto Easy Almond Bark recipe look amazing! Yum! 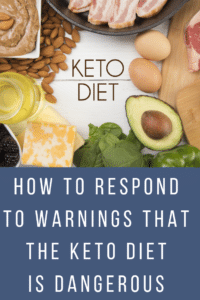 It would make a great gift idea for all your keto friends and family on your list. A small clear bag for goodies tied with a bow would be a perfect way to dress these up as a gift. Drizzle 1 tablespoon melted butter and 1/4 teaspoon of salt on top of the nuts and toss to coat evenly. Bake for 5 minutes, stirring once halfway through. Grease a glass bowl and add Lily's chips and coconut oil. Microwave on high for 1 minute then stir. Microwave in 15-second intervals, stirring between until Lily's chocolate chips are completely melted. Add natural peanut butter and stir until it melts. 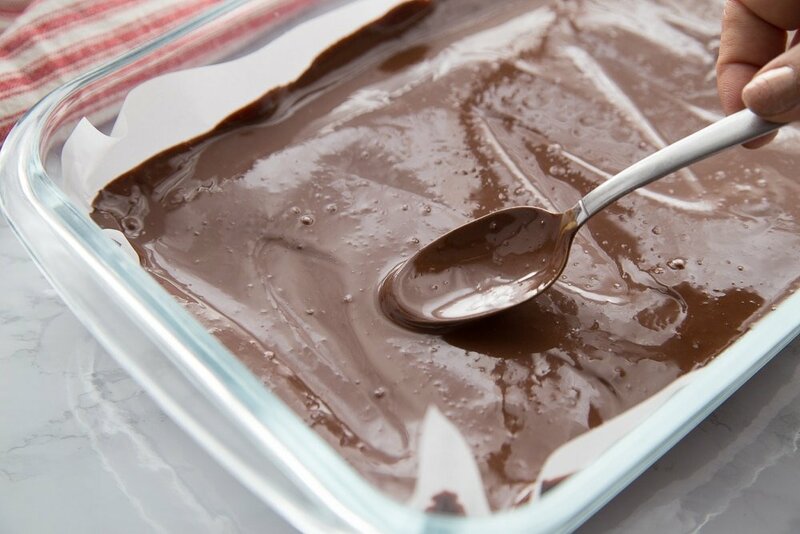 Pour melted chocolate mixture into an 11 X 7 baking pan covered with parchment paper. Place baking pan in the refrigerator and allow to set. Remove from refrigerator and break into bites. The sugar alcohols in Lily's Chocolate Chips are not included in the nutritional information since most subtract to calculate net carbs. The nutritional information won't be exactly accurate unless you break almond bark into equally sized pieces. 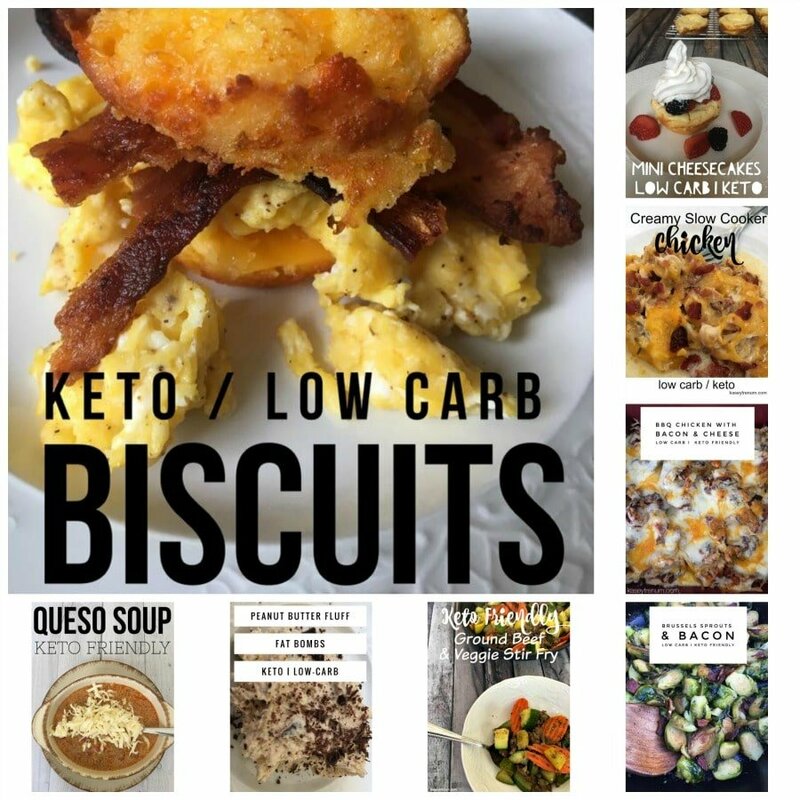 Check out all of my Keto/Low Carb Recipes in my Keto/Low Carb Recipe Index. « Silhouette Slate Grey CAMEO 3 Craft Bundle – HUGE PRICE DROP! What makes this sweet? Do you use swerve or anything? The Lily’s Chocolate Chips are sweetened with stevia already. Did you have to order them online? I would think so, but I’ve only made it as is. I have bakers chocolate squares and sweetner, how much would I need instead of the ready made chips? I’m not sure, I’ve only tested the recipe as is. I don’t have any Lilly’s chocolate chips, can I make this with unsweetened baking chocolate? What is the best way to sweeten it? I’ve only tried as is so not sure if unsweetened baking chocolate would work. I use a zippered storage bag. What is considered a serving size ( how large of a piece)? That will depend on how you divide yours. That is up to you and how many pieces you make. when making these recipes, can you just use cocoa and more coconut oil instead of the chips? I’ve only made this recipe as is, but feel free to test different methods. This looks delicious and sounds super easy. Will this work with Almond Butter instead of peanut butter? Peanut anything causes inflammation for me, so I try to stay away from it. I’ve only made it as is but it’s worth a try. 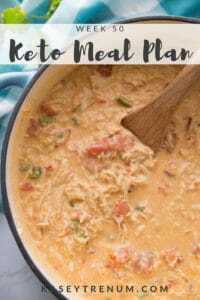 Oh my goodness, this was super easy to make and super delicious!!! 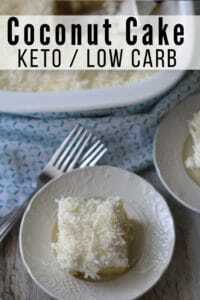 My only problem with this dessert is that I want more than 1 serving or 2 or 3, lol!!! Looking forward to making this! I’ve been making my own peanut butter using PB2 and coconut oil (one part coconut oil to 2-3 part PB2). So, do you think I could just add PB2 or mix it with the coconut oil that’s already part of the recipe, or will it take away from the consistency? I wouldn’t want to add too much coconut oil with what’s required and what’s needed to make my own peanut butter. 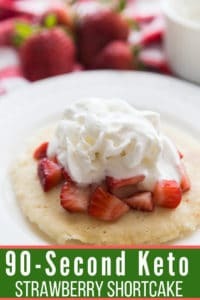 I’m not a baker, so I’d appreciate some thoughts before I make it. Thanks for your expertise! I’m not sure. I’ve never used PB2 so I can’t say from personal experience. I would think it would change the consistency of the recipe. I hate to be that one ? but, I’ve just recently started to eat healthy. Does this chocolate have that infamous aftertaste that usually comes from sugar-free? If so, is there another kind you would recommend? It doesn’t to me but everyone’s tastebuds are different. The ONLY PROBLEM WITH THIS…. ITS SO YUMMY, I CANT STOP EATING!!! I made this almond bark today! It was excellent. The Lilly’s chips melted beautifully with the coconut oil. I did add a bit of Truvia as I thought the dark chocolate was a smidge strong. Thank you for sharing.